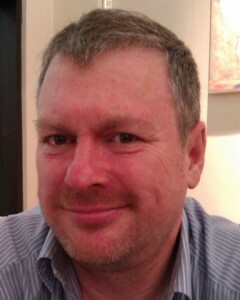 Steve McKenna is standing for election as Councillor in Redhill West on 3 May 2012. Steve is a Chartered Surveyor and Town Planner specialising in urban regeneration. He has 30 years experience working for public and private sector organisations, and has managed many major urban regeneration programmes. As a member of the Royal Institute of Chartered Surveyors’ (RICS) World Environment and Resources Board, Steve has worked on RICS’ responses to Government policy initiatives including, recently, leading RICS’ work on environmental issues concerning the extraction and use of rare earth metals. Steve is an active Green Party member in Redhill and wishes to represent and support local people by bringing a fresh and radical approach to community regeneration. He says, “I’m concerned that there is not enough effort in trying to build sustainable communities. Redhill West has areas of deprivation and social exclusion – for example there are high levels of unemployment and child poverty here which need to be tackled. “The Council should be willing to take some risks to help to create opportunities for local people and businesses, as well as generally making Redhill a more attractive centre for people to enjoy. Steve is passionate about our heritage – not just important buildings but also our environment and unique and varied landscape. Steve is married with a young daughter. He is a member of the National Trust, the Woodland Trust and the Campaign for Real Ale.